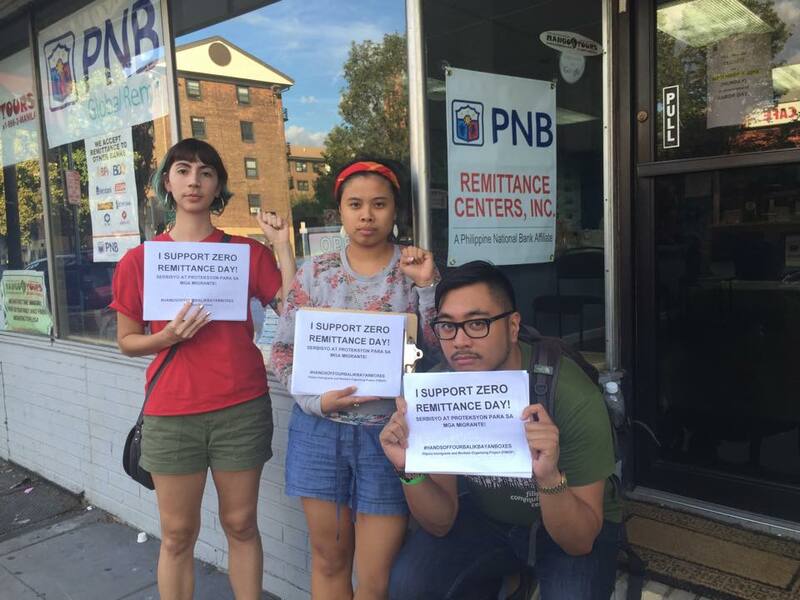 Jersey City, NJ – Jersey City-based organizations Filipino Immigrants and Workers Organizing Project (FIWOP) and youth group Anakbayan New Jersey (ABNJ) joins the call of Overseas Filipinos for a global day of action dubbed as “Zero Remittance Day” last August 28 to protest the Philippine government’s recent policies of taxing, random inspection and seizure of ‘balikbayan’ boxes. This protest, according to economists, will cost the country around Php3 Billion worth of remittances. 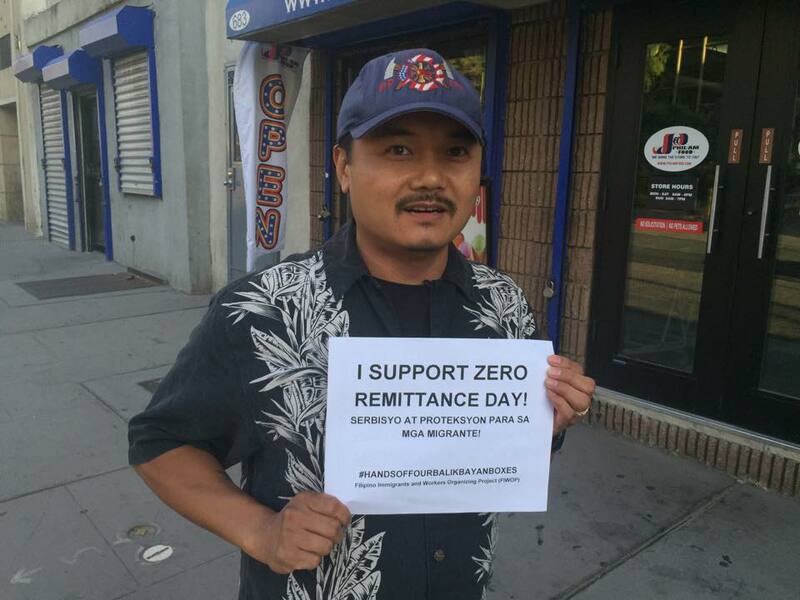 Members of both organizations went from store to store around Newark Avenue, a hub of Filipino owned businesses, to distribute information and urge Filipinos to join the Zero Remittance Day. Local cargo shippers expressed support but expressing that they have already been forced to increase the costs of their services $7, $11, and even $14. This is due to the additional Php100,000 fee on the 40-footer cargos entering the Philippine ports and is part of the government’s plan to raise Php600 million worth of revenues. 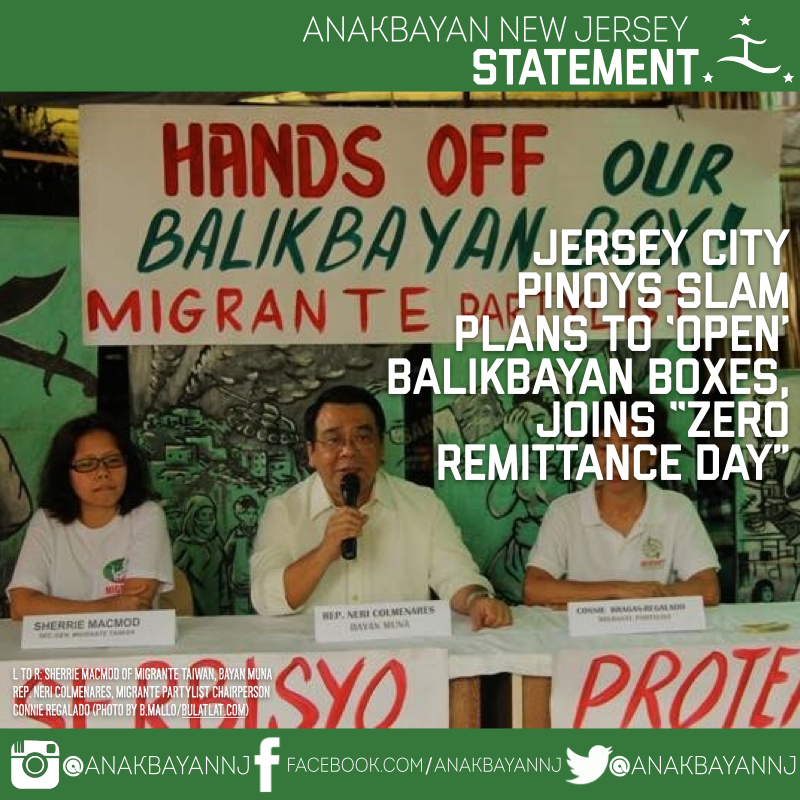 This recent policy has earned the ire of OFWs worldwide, including Filipinos in Jersey City. “Lagi akong nagpapadala ng balikbayan boxes, mga tatlong beses sa isang taon. Nagpapadala ako bago mag pasukan sa eskwela, bago mag pasko at pag may espesyal na okasyon. Bakit kami ang pinagiinitan ng BOC at hindi yung mga rice smugglers at mga basura galing Canada?” [I always send balikbayan boxes, three times in a year. I send before school starts, before Christmas and when there are special occasions. Why is the BOC picking on us and not the rice smugglers?] said a member of FIWOP. 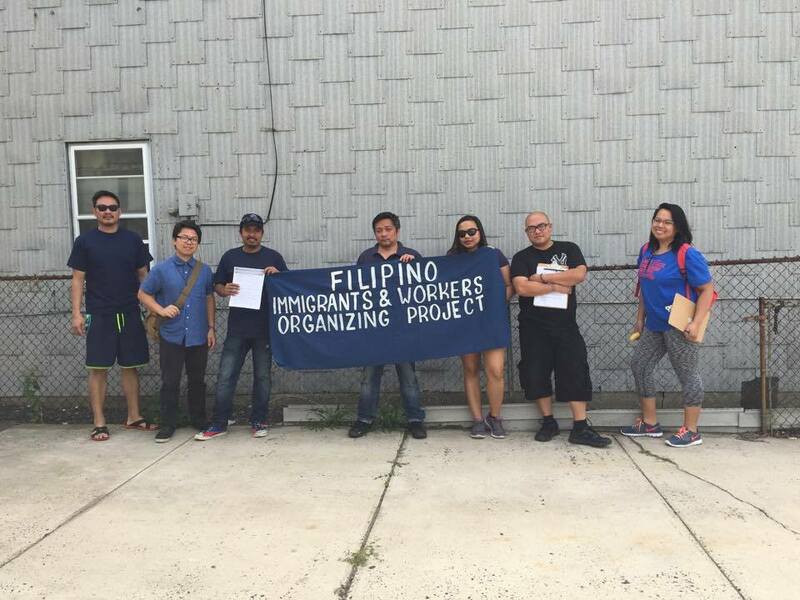 This reflects the widespread anger and frustration of many overseas Filipino workers and migrants regarding the new policies. Although taxes and fees have consistently been on the rise, services have are sub-par if at all in existence. Jersey City Resident on Newark Ave.
“Coming back from the Philippines I have seen first hand the conditions of our people back home. The economic policies already bring about a brain drain within our country as well as push our people abroad making our country reliant on remittances and balikbayan boxes from these family members. Taxation put upon them would only further the injustices our people face. Moreover, seeing that the conditions of our people have further worsened and the corruption of government-collected money only brings up ideas that the money from this taxation will be used in the same way,” said Daniel Santiago, ABNJ Solidarity Officer. Due to pressure, the Philippine government withdrew its plans on conducting random checks of boxes but has yet to drop its increased fees and taxing. 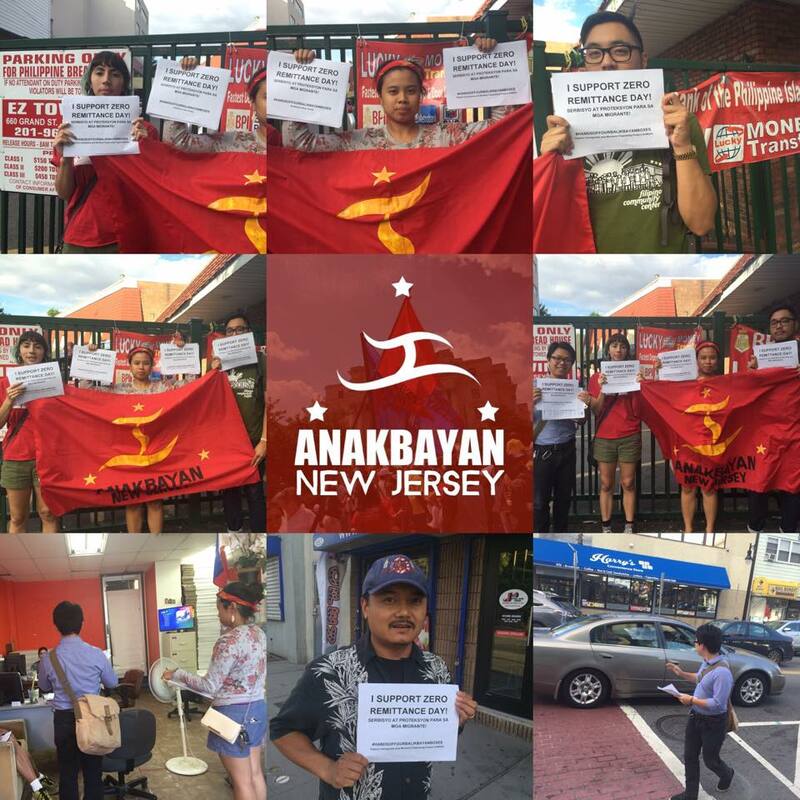 FIWOP and Anakbayan NJ calls on Filipino migrants and other organizations to unite and continue taking action and exert pressure on the BOC and the Philippine government. 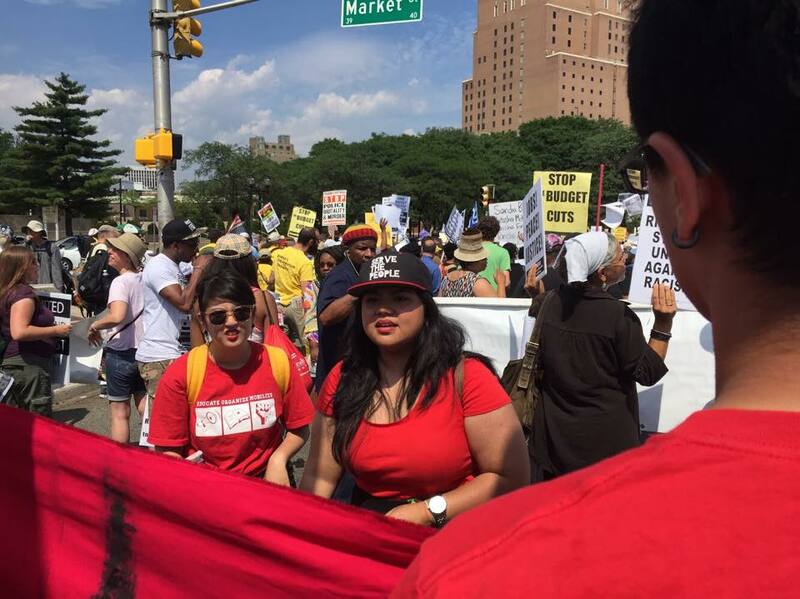 Newark, NJ – July 25th Anakbayan New Jersey, People’s Organization for Progress, and allies from BAYAN USA Northeast joined the Million People’s March Against Police Brutality, Racial Injustice, and Economic Inequality at the Lincoln Monument organized by People’s Organization for Progress, an independent, grassroots, community based, politically progressive association of citizens working for racial, social and economic justice and greater unity in the community. 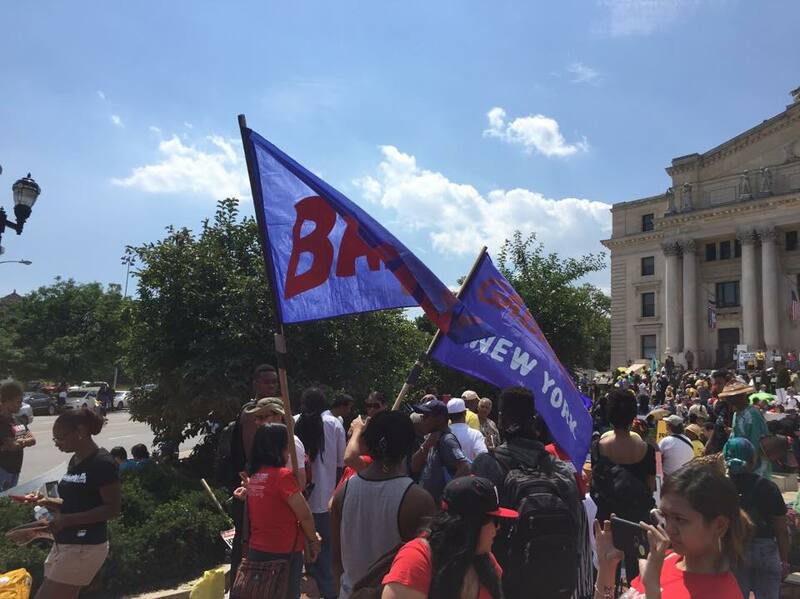 The march was timed to coincide with the 48th anniversary of the 1967 Newark rebellion, which can be attributed to an increase of Black elected officials in the area. 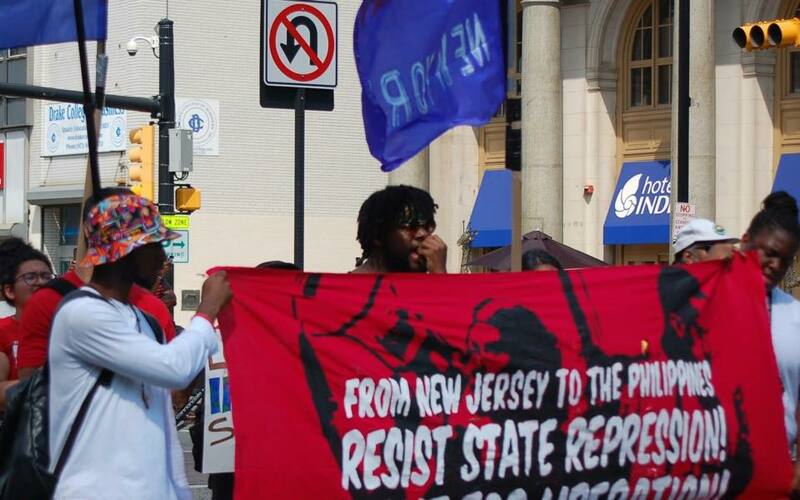 Various victims murdered by police in New Jersey and New York were commemorated by their families, including Abdul Kamal; Kashad Ashford; Jerome Reid; Philip Pannell; and Malcolm Ferguson alongside the names of Sandra Bland; Aiyana Stanley-Jones; Freddie Gray; and countless others. As the families shared words with those in attendance, they echoed the sentiments of Michelle Kamal, the mother of Abdul Kamal, 30. He was shot ten times by the Irvington Police on November 11, 2013: “Our children’s names are not in the news, our children’s videos are not being shown, there’s no group that invite us as a group of mothers…. He will always be my son, he’s not a was, he is an is! … and we’re gonna stand up for our children in New Jersey … we’re gonna make sure no one forgets.” Over 120 community and grassroots organizations, union locals, religious groups, political prisoners defense committees, immigrant rights, women’s and LGBTQ groups from Atlanta; Boston; Washington, D.C.; Baltimore; Philadelphia; and more expressed support of the Millions People’s March. 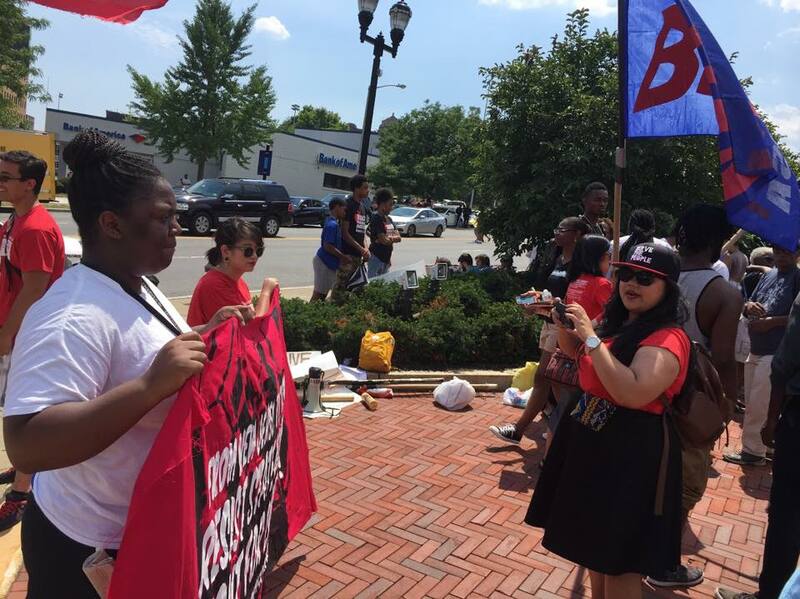 As a Filipino youth and student organization that works to combat US imperialist forces both in the Philippines and our communities in the US, we recognize that the same forces that militarize, repress, surveil, and wage war on Black communities and Black resistance with impunity also operate in the Philippines. The same counterintelligence strategies designed to disrupt and monitor Freedom Fighters and Black Liberation Movements have propelled the 262 cases of extrajudicial killings in the Philippines, along with hundreds of cases of forced disappearances, illegal arrest, and harassment of Filipino human rights defenders and activists. 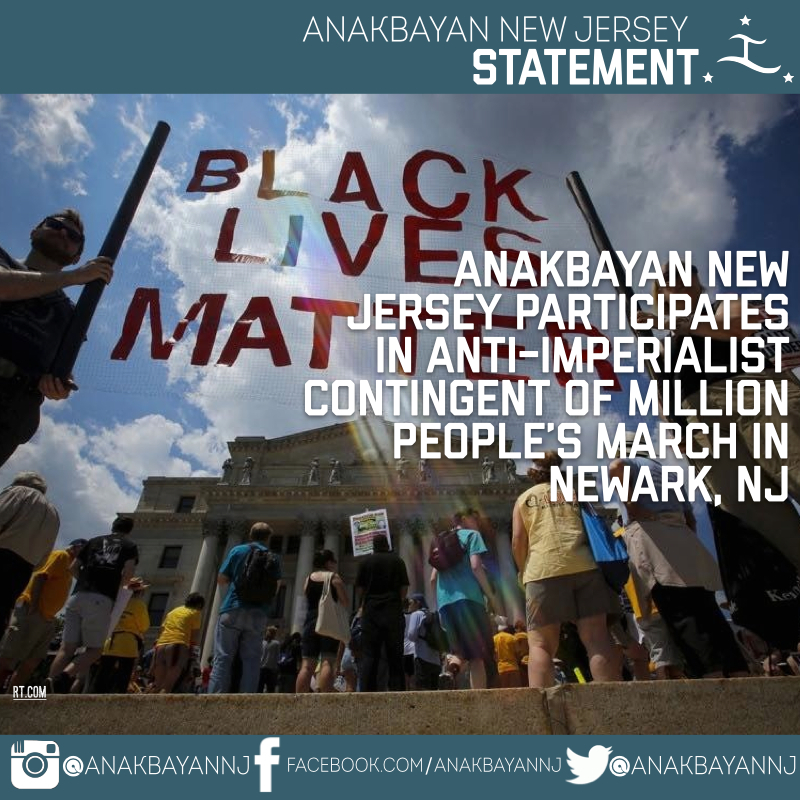 We condemn the state repression and killings of our Black brothers and sisters! 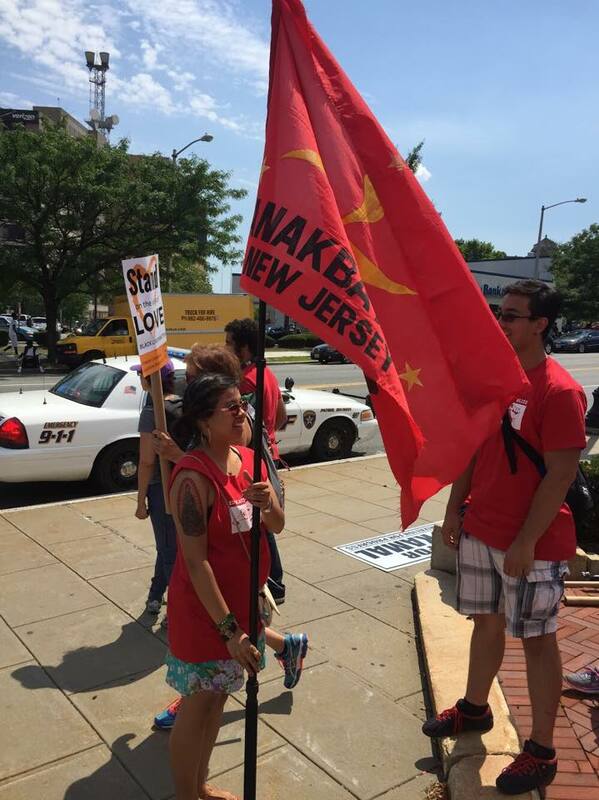 We stand with the victims and families of police brutality in New Jersey and across the country! Self-determination and liberation for all oppressed peoples! 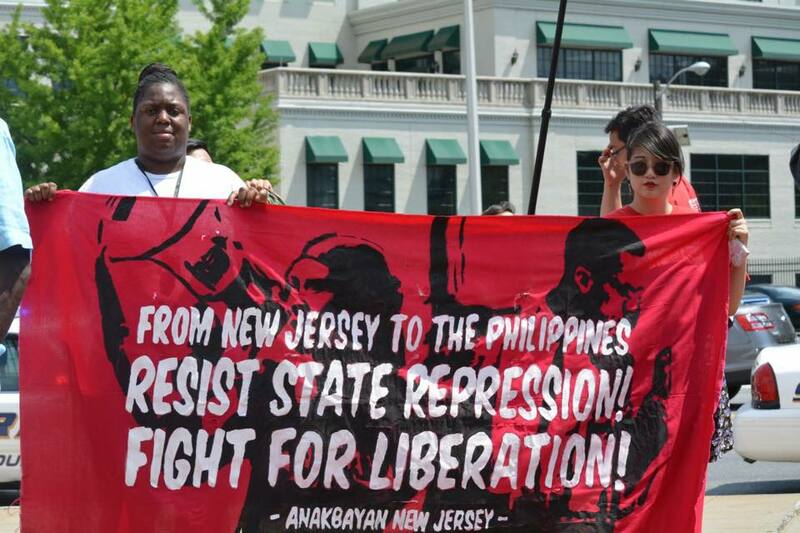 From Newark to the Philippines, resist state repression! Fight for liberation! Long live international solidarity!